Swinburne University of Technology has been selected to participate in a new national pilot program designed to prepare businesses for the Fourth Industrial Revolution. The national Industry 4.0 Testlabs network will involve six Australian universities including University of Queensland, University of Technology Sydney, University of South Australia, University of Western Australia and University of Tasmania. The network will be led by Swinburne’s Deputy Vice-Chancellor of Research and Development, Professor Aleksandar Subic, under the auspice of the Australian Industry Group (AiG) Industry 4.0 Forum. 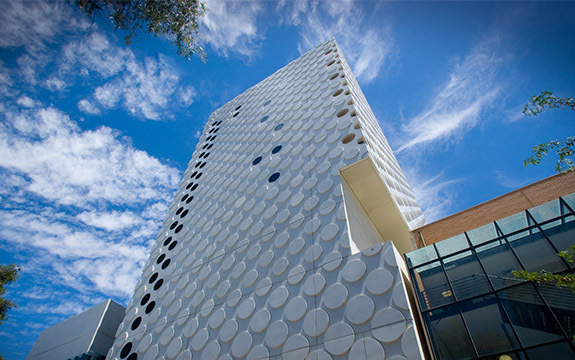 “Swinburne has placed Industry 4.0 at the heart of our Research and Innovation Strategy. We recently launched the Victorian SME Industry 4.0 Hub for manufacturing businesses, the Siemens MindSphere Demonstration and Application Centre for Australia and the DXC Digital Transformation Centre at Swinburne,” Professor Subic said. Minister for Industry, Science and Technology Karen Andrews said the Government’s pilot program would provide SMEs with free and open access to testlab facilities and focus on improving their skills in Industry 4.0 technologies such as advanced automation and robotics, machine-to-machine communication and sensor technology. “The Industry 4.0 Testlabs for Australia program prepares businesses to transition to the smart factories of the future,” Minister Andrews said. He said evaluation of the pilot program will provide valuable insights into the success and uptake of new Industry 4.0 technologies. “After the program is completed consideration will be given to implementing a broader initiative,” Minister Andrews concluded.